Euxit Software Is A Confirmed Scam - Here's Why!! 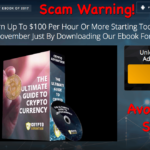 Euxit Software Is A Confirmed Scam – Here’s Why!! We have come across another scam software just recent known as Euxit. This software looks pretty much similar to one of the widely recognized scam software Brexit Bot. Bothe the software also have got the same theme to represent. The crash of Europian Union is the prime theme of what both the software relying on. 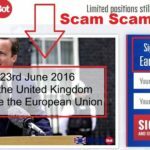 We have reviewed the Brexit Bot earlier with some solid evidences proving the scam attempts. This factor itself indicates that nothing good can be expected from this Euxit either. However, facts should be uncovered with proper evidences. That’s what we do. 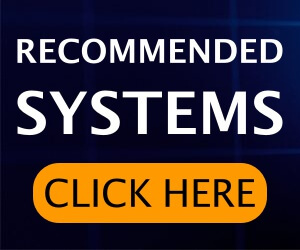 You are suggested read this review post till the end and make your own decision whether to got preyed by the scammers or be aware in the future encounter with any kind of scam software. To be precise, Euxit is somehow related to the BrexitBot. They claims to be the cut-edge program of Brexit that is designed to help people who have lost their hard-earned money on Brexit and also others to earn better amount on daily basis. 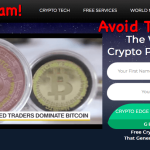 They also claims that their highly advanced program can scan world news on the online market and places only those trades that are 100% secured ones. Now, there is no clear explanation or evidence how their software does it. Neither it was clear how the Euxit software works. All they have been providing is the basic knowledge of Forex trading with currency pairs. The presenter in the promo video claimed that their software is absolutely free. But, how truthful they are with their claims is yet to be exposed. And, we are on it. Who is the Owner of This Software? First of al we needed to know that who is the owner of this software and if he is real. 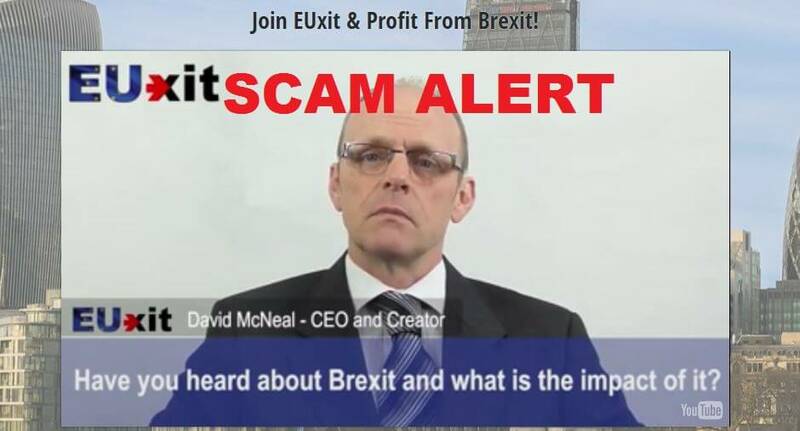 As seen in the promo video, the alleged Founder and CEO of the EUxit software is named as David McNeal. He claimed that he has been actively participating in investments on various categories. According to his claims, he must be well known person in the finance industry. A person like him must be somewhere on the news headline, or at least having a personal account in any of the social media platforms like Twitter, Facebook, LinkedIn, Google+, etc. Technology let us to find anyone in the internet if his or her profile does exist. So, we did a little effort to find him on the Google. Unfortunately, we coud not find him anywhere over the internet. Neither any news related to him was observed. This is not a good sign at all. This factor indicates that he is just a fake person with fake name and identity. Truth can be anything and we can’t be so sure untill we get a proper evidence. So, we tried a little harder to find his certain truth. Eventually, we found out that this man is just a paid actor from fiverr website who agrees to make any kind of lies just for $5 bucks. If you take a closer look in the video, you may notice that everything he was claiming during the video presentation was just the fabricated lines. He was looking at the lines shown on some kind of screen and was reading them one by one. So, this is a one big red flag that reflects the filthy scam of some cheap scammers behind the bar. Is the Software Really 100% Free? 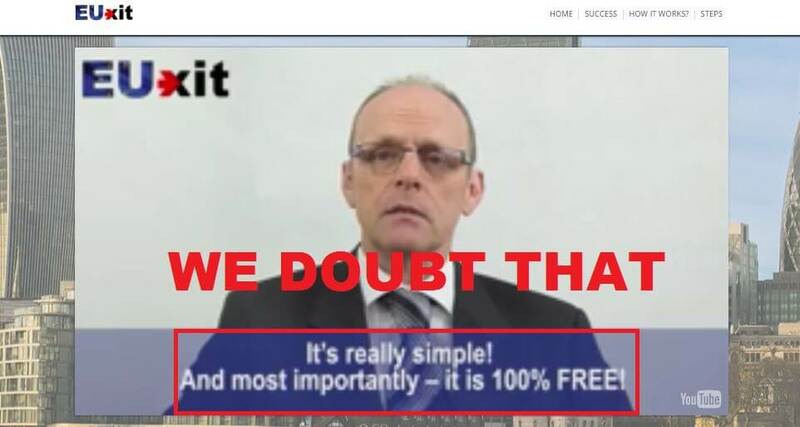 The fake owner of the scam software was proudly claiming that the EUxit software is a money-ball laying giant and is absolutely free to use for everyone. If the software is really free, whats the catch? Why they would even make such effort to create such software that does not ask for a dime in return of using it? Well, the truth is totally opposite of what it we were told. Eve though if they let you to use the software for free, you would certainly pay for the brokerage service before you start trading in Binary Options. Whether you are allowed to trade or not, your deposited amount to the broker they suggest will be splitted into the software developers and the broker they are affiliated with. Nevertheless, we picked one of the client profile ( William Stone) and started analyzing it. As we did not find anyone with this name and face all over the internet, we did another little trick to find out the truth. Once we took the image shown in the client’s profile and searched it through the Google Images, we care to know that the image is just a random stock photo. The scammers behind the Euxit software used the stock image just to give a complete look to the client’s profile. Same case is expected with other client profiles too. So, there is no way that the software is legit and this is the solid evidence of Euxit’s scam activity. After all the analyzation and examination, we have come to conclude the EUxit software is a hundred percent scam. No matter how big their claims, how promising their words; end of the day you will lose your money if you consider to deposit to their suggested brokers. For a better knowledge, we suggest you to check the “FULL RISK DISCLOSURE STATEMENT” in the Disclaimer section located at the bottom of the webpage. All your doubt will be cleared once for all. 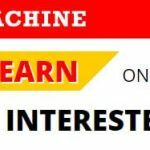 The Brexit Bot is Confirmed Scam – Honest Review!! 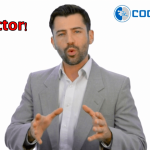 CogniTrade Review – Another Scam Software? Yes! Proofs Attached!